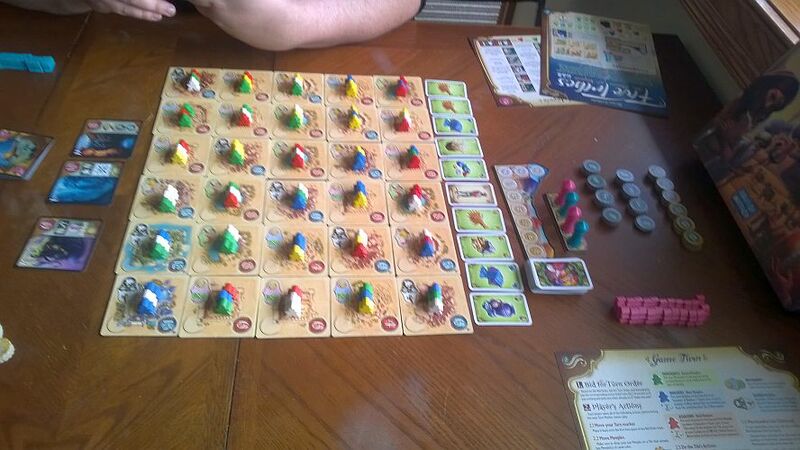 Even after having some interest in Five Tribes (2014) a year ago when it first made a big splash, it took this long to get it to the table locally. Still, we did wind up playing a bunch of games recently include a couple of two- and a couple of four-player games. It's a thinker and a good one for collections. We had fun with both two and four players but this one is particular good as a one-on-one contest with a well-matched opponent. 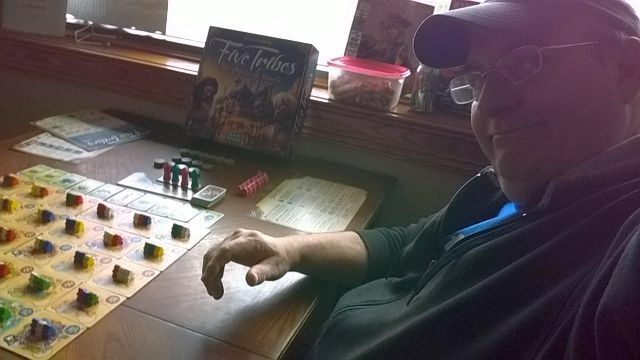 It's also good to set some ground rules regarding meeple placement and the length of time, regardless of player number, if you want to finish quickly or play several time in an afternoon or evening. This is a game that can bring out the analysis paralysis in folks and is likely to have some players wanting to redo something they just did, which can cause a lot of problems during play. Players can forget to more their turn markers, too, so my buddy John came up with an elegant solution. 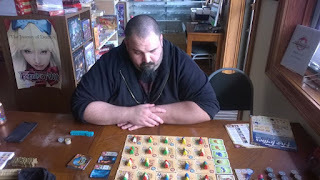 He suggested you mark where you are picking up your meeples with the turn marker when you first get them and once you place each meeple, it is placed for good. No keeping a finger on a meeple and picking it back up. That way lies madness. 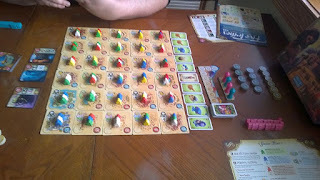 Once the last meeple is placed for your action, you have to pick up the turn marker and put it on the track for next turn's bidding order, thus ending your turn. This protocol ensures resolutions during each player's turn and helps folks from over-thinking and re-thinking turns. Simple. 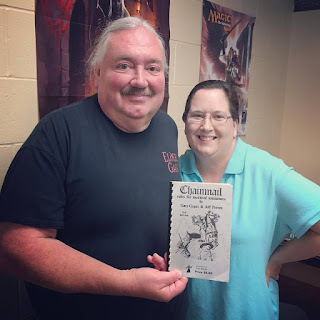 I gotta get this back on the table soon.